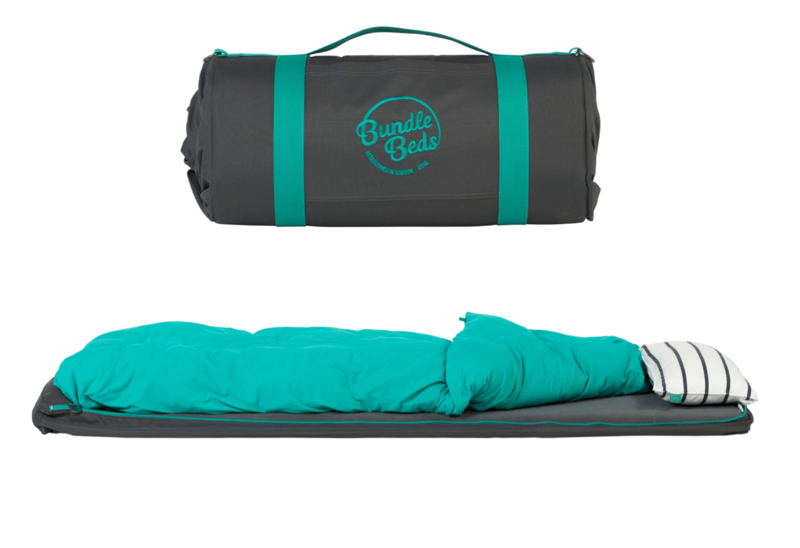 Bundle Beds are the future of sleeping out, camping and adventures. With a revolutionary new take on the old roll-out bed, a Bundle Bed is a self-contained, fully portable bed that delivers comfort, simple luxury, and convenience wherever you may be. Our mission is to make getting out and trying new things that little bit easier, secure in the knowledge that you will be able to have a great night’s sleep, anywhere! 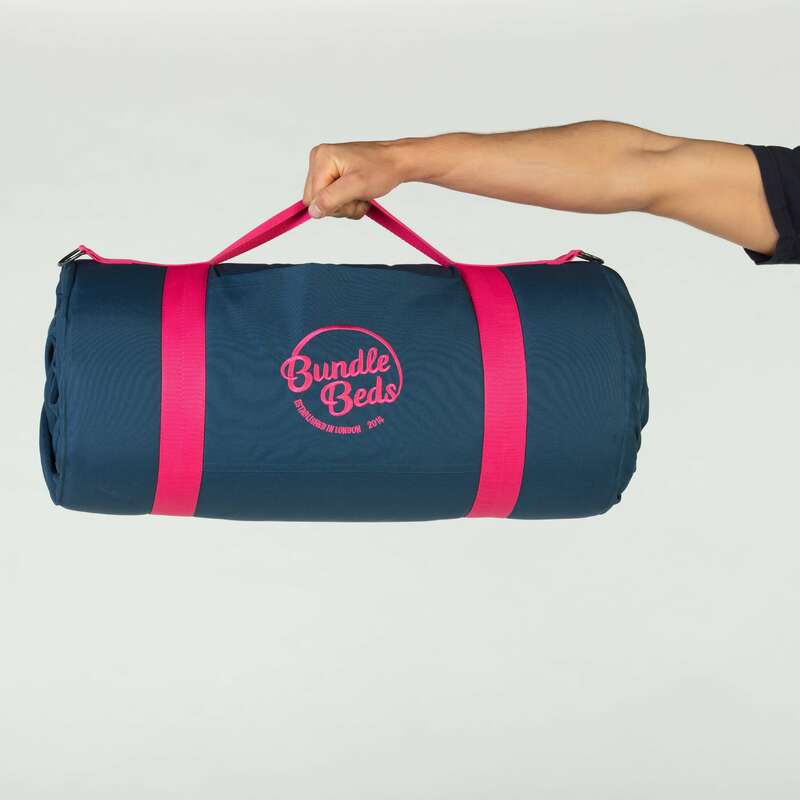 A Bundle Bed comes complete with a self-inflating mattress, snuggly Jersey cotton sheets, soft pillow and proper duvet, all bundled together in a protective waterproof outer layer, ready to be slung in the back of the car for your next adventure. 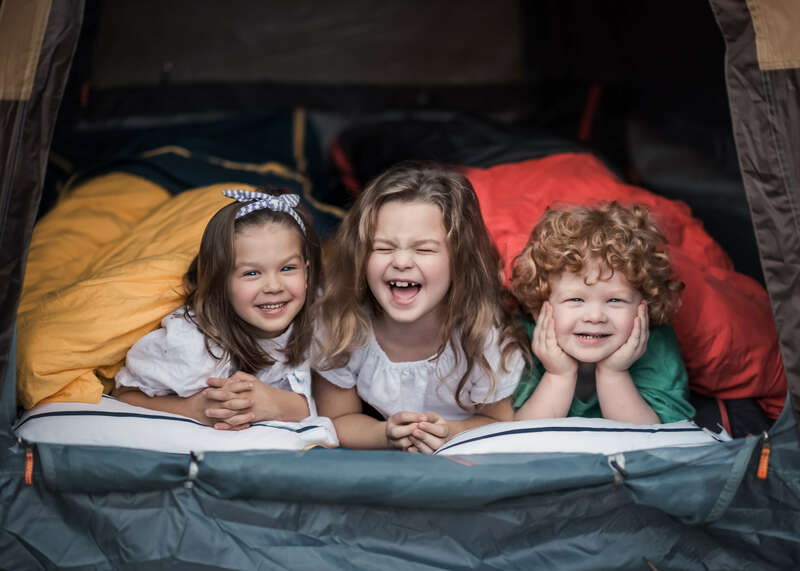 Camping with family creates many special memories but, as parents ourselves, we know that your to-do list can be never-ending and that achieving the ‘simplest’ of holidays can require the strictest of planning! Take one thing off your list and let us worry about where, and how, the kids are going to sleep. 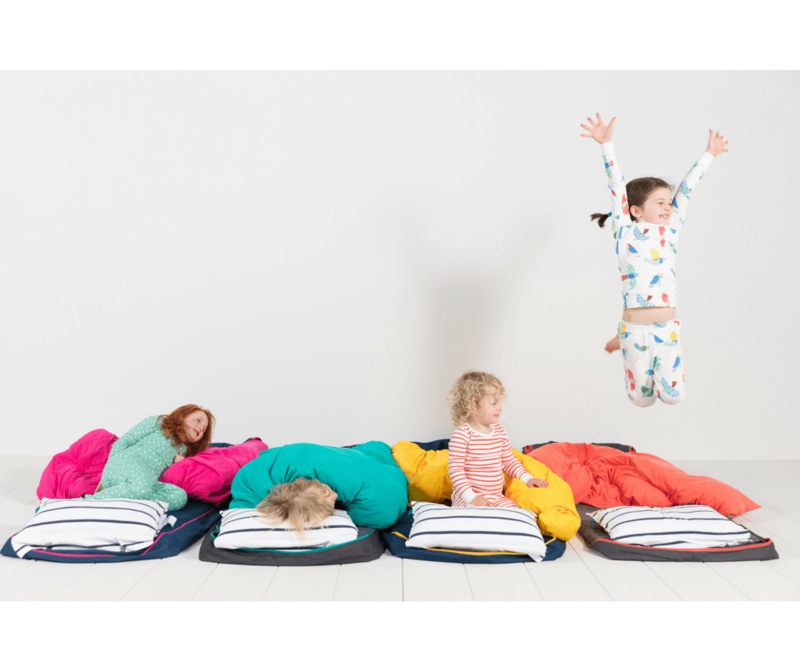 With a Bundle Bed you won’t need to worry about airbed pumps, or forgetting a pillow, or whether the kids’ will be warm enough. 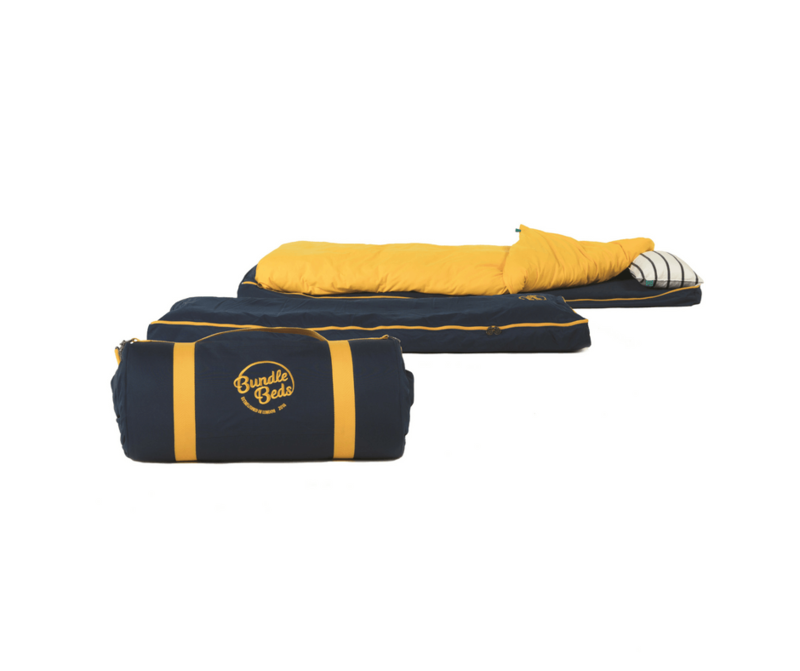 The waterproof outer layer protects bedding from an inadvertent drop in a puddle whilst you grapple with the tent and, once the tent’s up and the beds are laid out, the outer layer can be zipped up to guard against sandy little toes. Bundle Beds are full size and comfortable for adults too, so they are perfect if you need to fit in an extra guest at home, as well as on holiday. 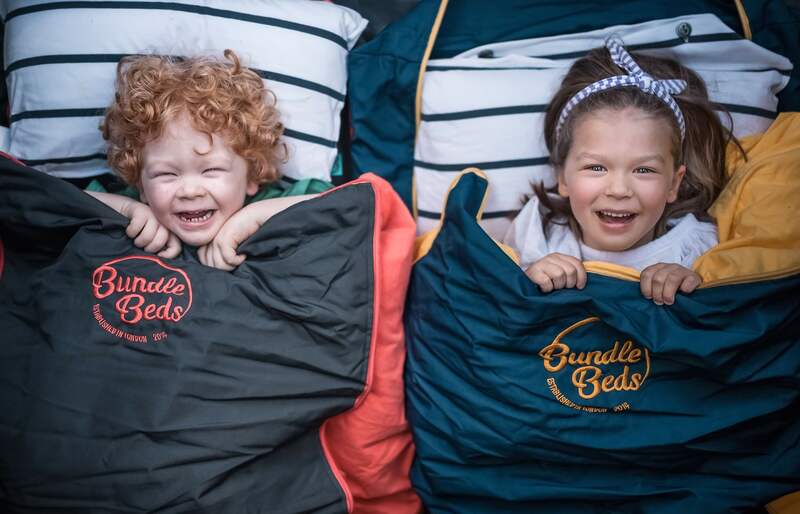 Fit two together with a purpose-made double sheet and you have a portable double bed too! 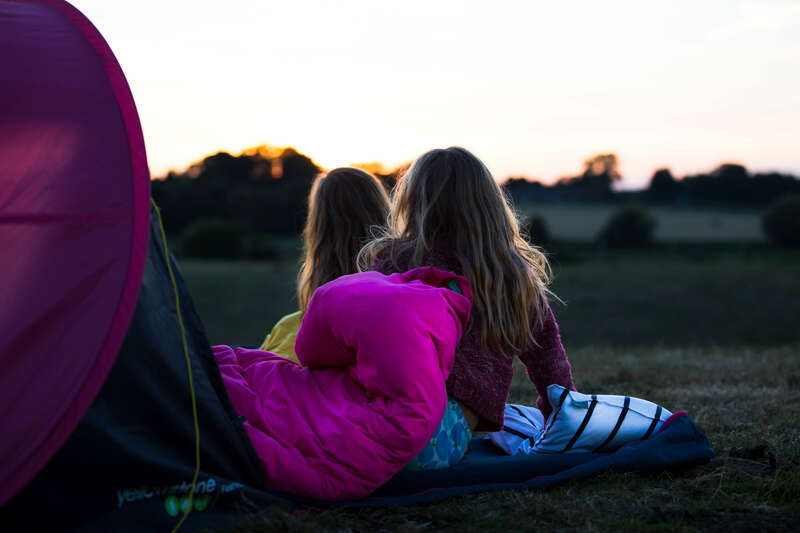 We hope to bring a little simple luxury to camping, and to make visiting friends, organising kids’ sleepovers, planning your first family festival, or throwing some things in the car for an adventure, just that bit easier. 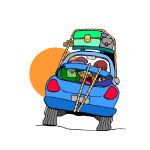 Wherever you decide to go, unclip, unroll, unzip… unwind & sleep! Website: For more information and to get your own Bundle Bed visit our website!